As a not-for-profit institution, our focus is not on profit, it's on you. Profits are given back to the members in the form of competitive dividend rates, lower loan rates, free services, educational resources, and other special offers. Planning to head to Hersheypark come summer? Then save yourself some dough and purchase your tickets before you go. Tickets available in summer on a first come, first serve basis. Look for signs in all branches with cost and availability. Whether you are looking for a used truck, car, van or SUV, Enterprise has your next vehicle. Their no-haggle prices are below Kelley Blue Book® Suggested Retail Value. Enterprise used car lots offer a low-pressure buying experience to help you find reliable used and rental cars for sale. Ask them about their dealer demos! Need a rental car? Members can receive discounts from the following Enterprise family of companies. We'll give you your credit score for FREE. We'll also review your credit report to determine what is affecting your score, offer suggestions for improving it, give you the loan rates for which you qualify, and answer questions you may have regarding the credit union or any financial needs! First Capital offers informational seminars. Topics include: used car buying, budgeting, first-time homebuying, etc. Most of the seminars are held in the evening and light refreshments are provided. 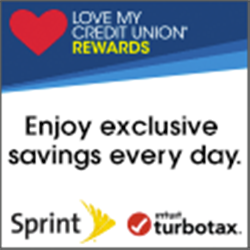 With the Love My Credit Union Rewards program, credit union members have access to valuable offers from Sprint, TurboTax, etc. Visit www.lovemycreditunion.org to find out all the details. Credit Union members receive 10% off Auto and Home Insurance through Liberty Mutual Insurance. Get a free quote today! Call Ashley Burgett at (717) 590-6697.